When Toyota Camry 2018 Is For Every Taste, Which Version Would You Choose? The hierarchy of versions of the Japanese sedan is built in such a way that each configuration is combined only with certain types of motors, assigned to it in rank. So, for example, the standard set includes only a 2-liter motor. 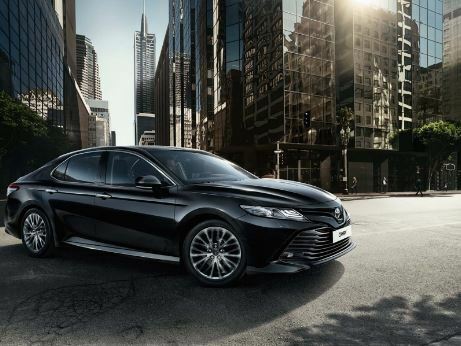 Such Toyota Camry 2018 in a new body offers: climate control, branded audio system with MP3, heated seats and mirrors with electric drive, front and rear electric windows, steering wheel and driver’s seat height adjustment, parktronics, fog lights, launch engine button, folding rear seat and aluminum wheel disks. Active and passive safety is ensured: 6 cushions, stabilization system, light sensor and helper to the mountain. The Standard Plus package includes the presence of 2 and 2.5-liter motors. The equipment of this version is replenished with such useful things as a rear-view camera, cruise control, a rain sensor, as well as telephone hands free and Bluetooth. Another configuration, combined with two types of engines, is called Classic. 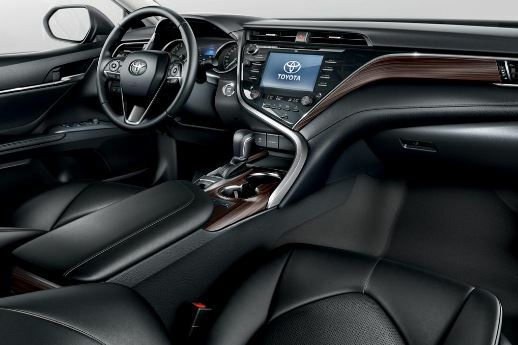 The cost of the new model Toyota Camry in this configuration is almost 23 000 $, and the equipment is additionally equipped with a salon with leather trim and electric drives for adjusting the front seats: for the driver’s seat in eight directions, and for the passenger seat in four. Supplement for painting with the effect of “metallic”, regardless of the configuration, including the flagship Luxe, will be cost 300 $. For “mother of pearl” will ask around 500 $. Two complete sets, further following in rank, are friends with the engine in volume of 2,5 liters capacity of 181 hp. Equipment version Elegance Safety in many respects repeats the composition of the Classic. The exception is the presence: helm heating, adaptive cruise control and knee airbag for the driver. 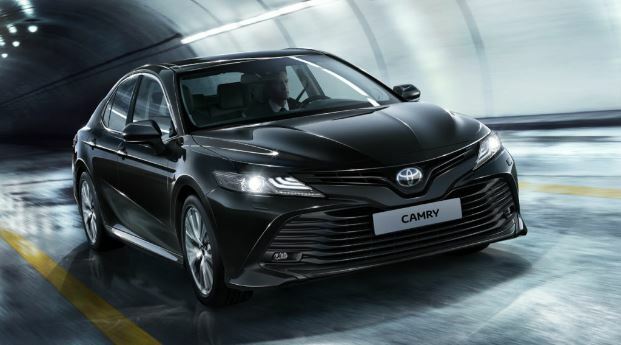 The price for Toyota Camry 2018 in the Elegance Safety equipment is 27 000 $. The Prestige Safety equipment, in turn, is a symbiosis of the Classic and Standard Plus equipment set. Prefix Safety in the name of the Prestige means: additional availability of LED headlights, premium audio system, brand navigation system, aluminum wheels enlarged to 17 (+1) inches in diameter, turn signal repeaters, chrome door knobs, heated rear seats and auto-corrector headlights with automatic switching near / far. In addition to the aluminum wheels of the original design and an additional label on the luggage compartment lid, the Luxe Safety equipment costing 31 000 $ is equipped with: electric front seat adjustments with memory parameters, dead zone monitoring system, rear side airbags, electric steering column, sun blinds on the rear windows, ventilated front seats, 3-zone climate control and a function control unit for rear seat passengers. The top equipment of Exclusive Safety with a 3.5-liter V6 engine and a 249-horsepower engine will additionally please: four panoramic cameras, paddle shift switches and an assistance system for leaving the parking in reverse with an audio and visual alert function (RCTA). The price of the new Toyota Camry model in the Exclusive Safety package is 35 000 $. Interesting that the maximum speed of all modifications is artificially limited to electronics at 210 km / h.